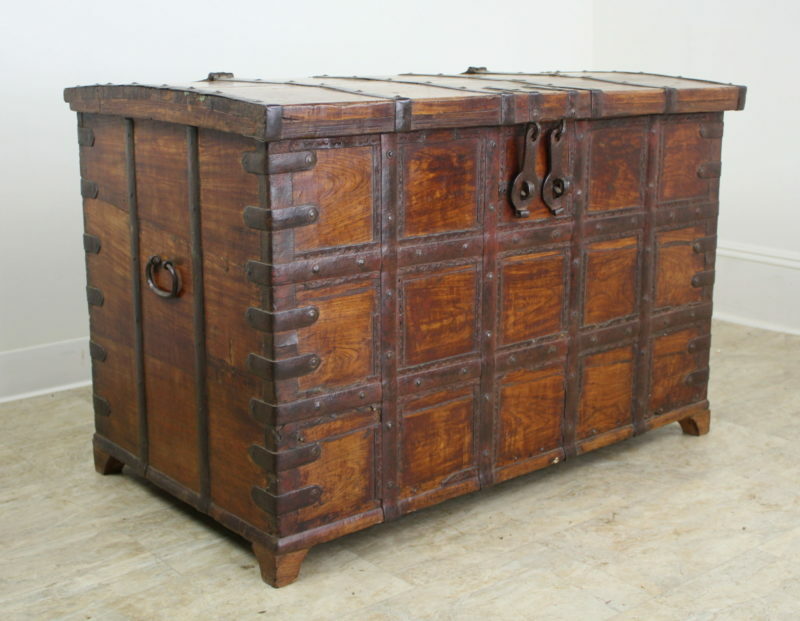 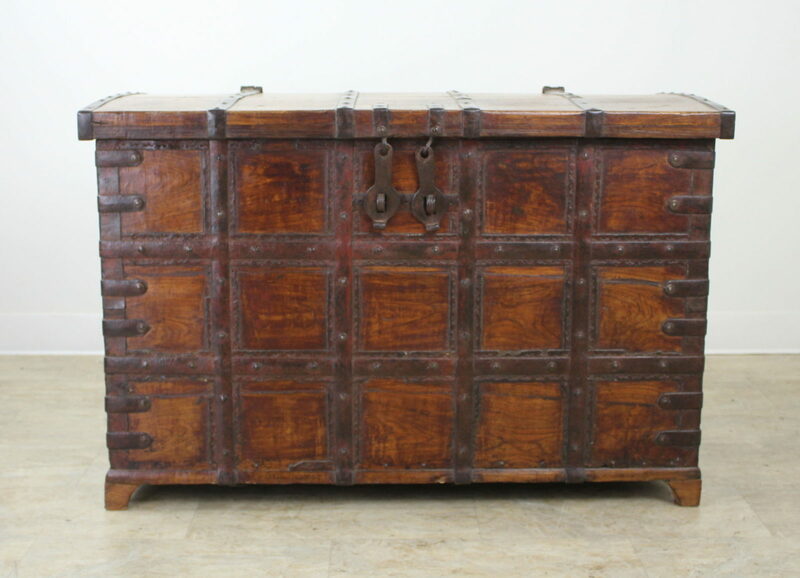 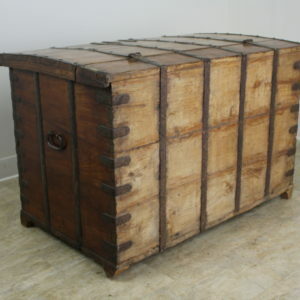 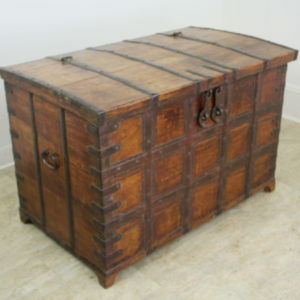 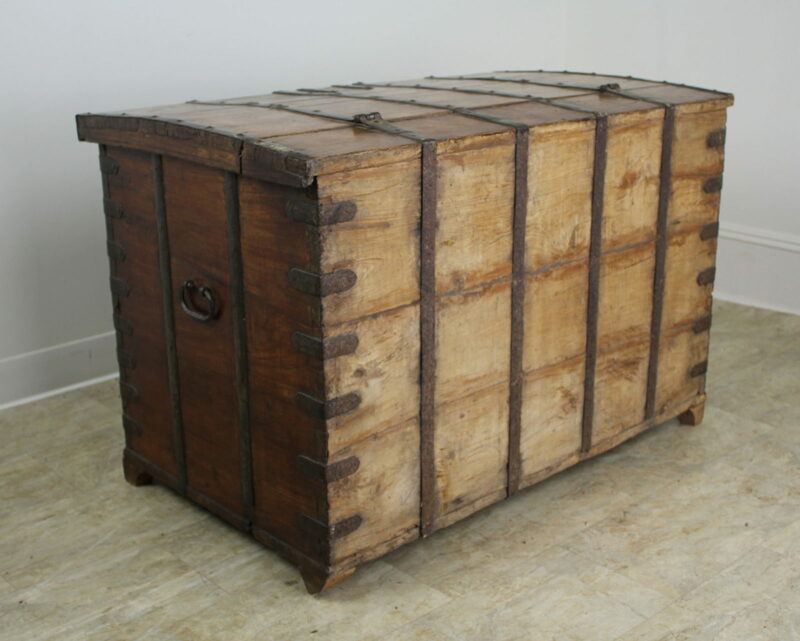 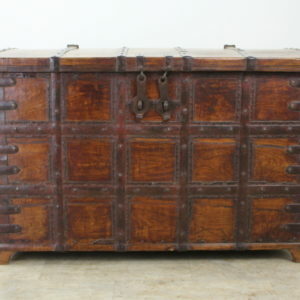 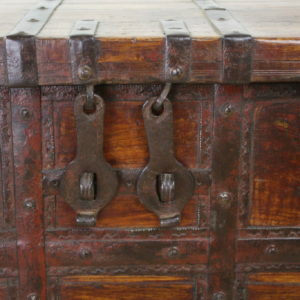 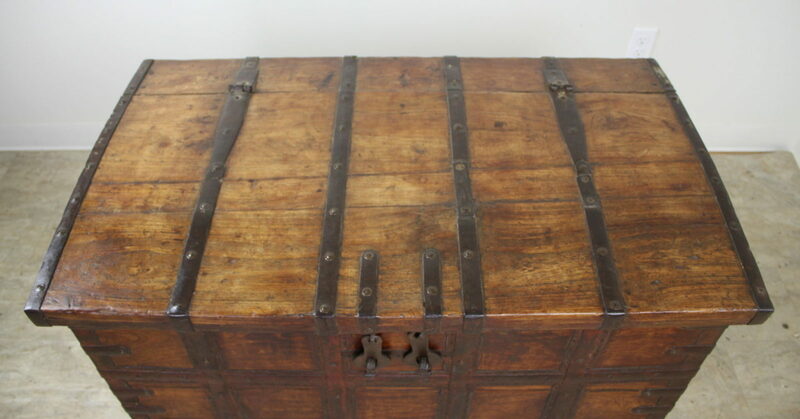 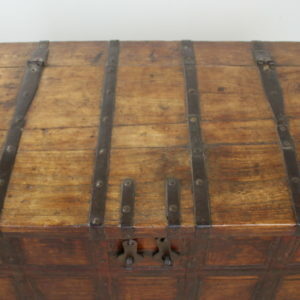 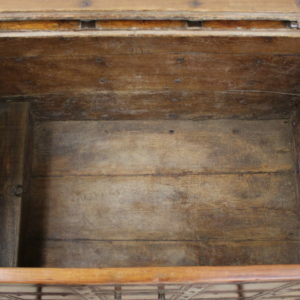 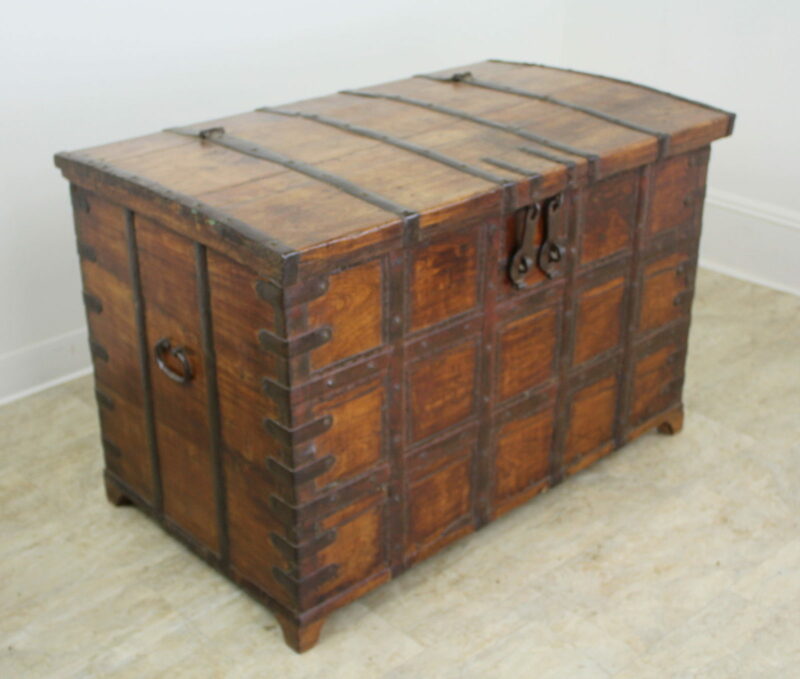 An early French trunk or blanket chest, with highly decorative iron strapping and hand-wrought iron handles. 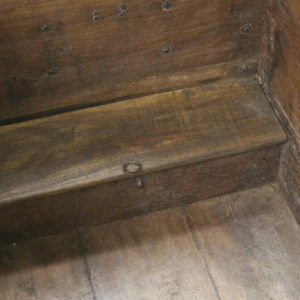 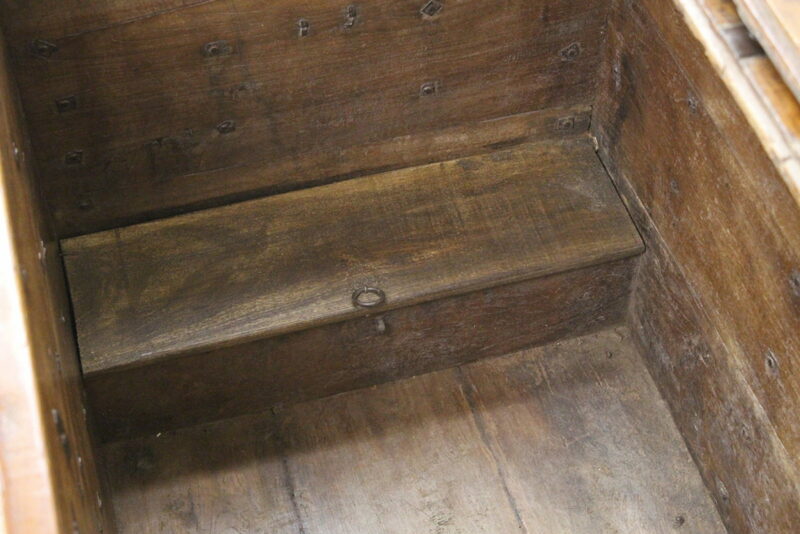 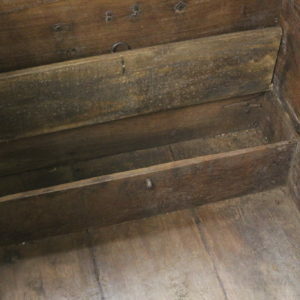 The front and sides of the piece have their original stain and vanish, worn to a glow. 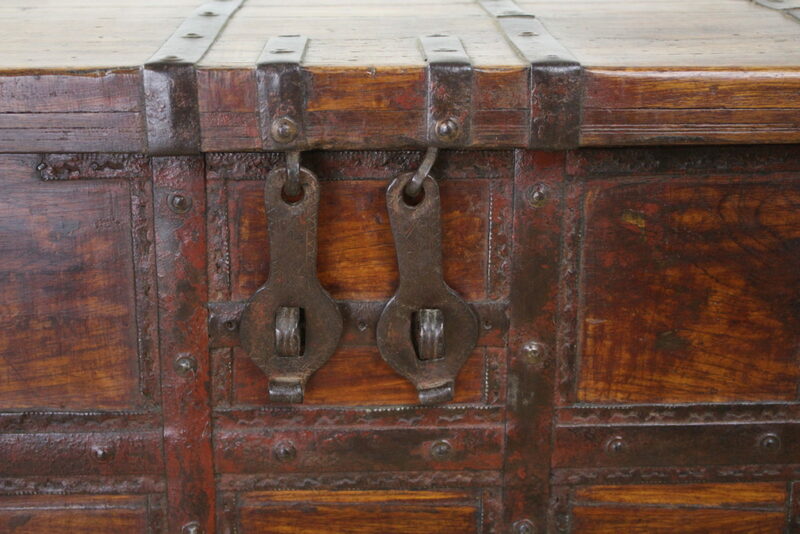 The arched top also has great patina and natural color. 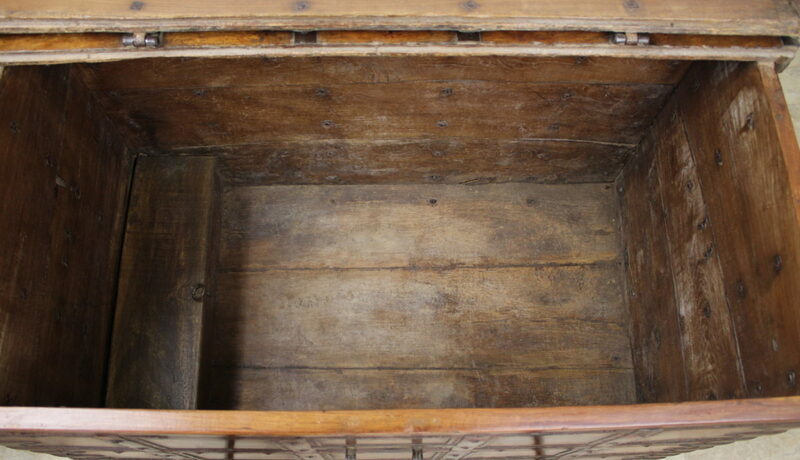 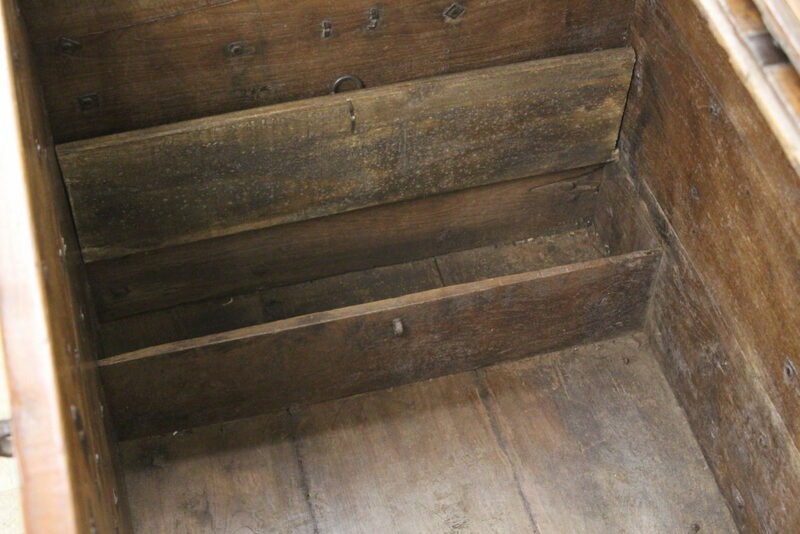 The interior is very clean and boasts a secret compartment for treasures!